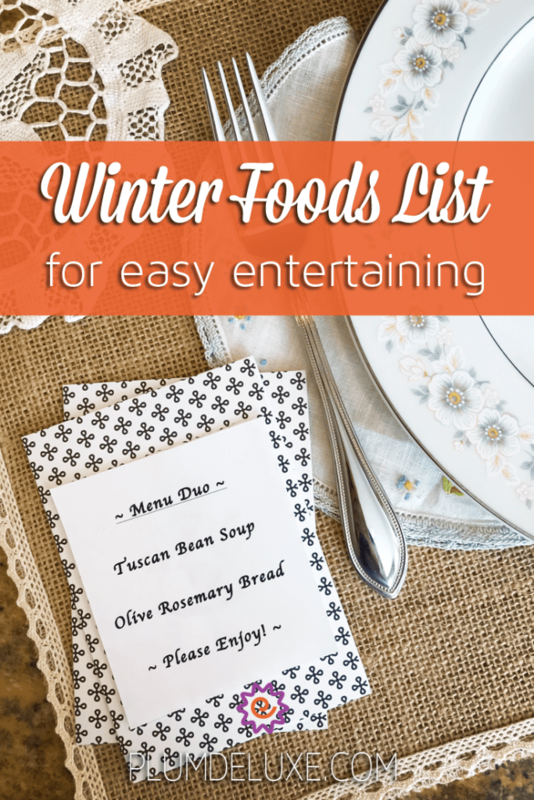 When you’re planning your cold-weather parties with friends and family, turn to this warming winter foods list for easy and creative small menus. Menu duos offer simplicity to your planning when hosting a party, and they highlight for your guests memorable tastes to truly savor. 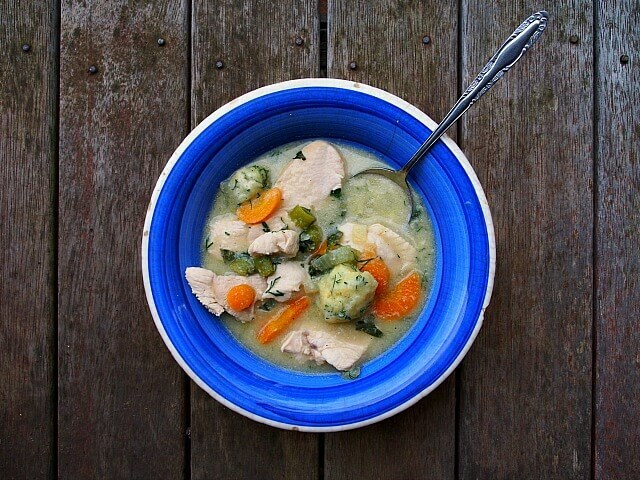 This hearty and warming Chicken & Dumplings recipe is made with a delicious gluten-free broth. Thicken the broth with coconut flour, giving the soup a hint of Thai flavor. Dumplings are easy to make and can be crafted out of whatever gluten-free flour you have on hand. Pair your soup with this Warming Winter Wild Rice Salad, loaded with healthy vegetables to counter all those holiday sweets. Root veggies, wild rice, and lentils rest on top of a bed of spinach. Crumbled feta and a light dressing bring a lip-smacking tang to this delightful combination of texture and flavor. For celebrations big or small, pour a cuppa Candlelight Blend white tea. A combination of delicate white tea and orange peels, this blend is then finished with flavor essences from champagne grapes. Perfection! What more could one want on a cold winter day than a gooey, creamy bowl of Mac & Cheese? It stands on its own as a comfort food, and for many of us it drums up sweet memories of childhood. This recipe takes on a Southwest flavor, with cayenne pepper giving the cheese sauce a spicy kick. Beets are beautiful, garnet-purple globes with an earthy flavor and slight sweetness. Buy them fresh, or use canned beets; both will deliver the flavor you seek for delicious dishes like this Balsamic Beet Salad. The dressing is made by reducing balsamic vinegar with maple syrup, making a richly-flavored sauce that could also be used for a marinade. 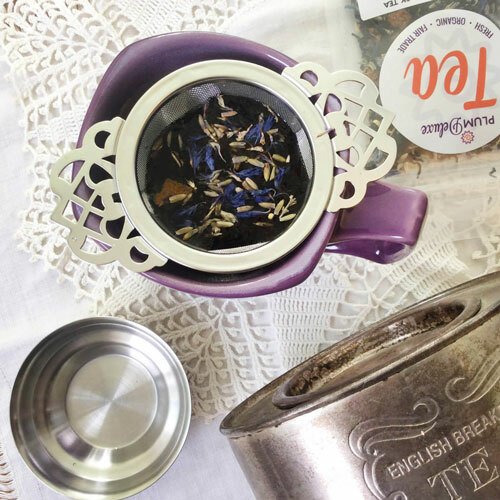 A lovely tea choice for this meal is the Afternoon “High Tea” tea, a lightly-caffeinated white tea base flavored with peach, pear, apricot, and marigold petals. This Tuscan Bean Soup recipe grabbed my attention at “garlic parmesan croutons.” Okay, that’s not the main part of the dish, but who could resist such a tasty accoutrement! Veggie broth and cannellini beans are simmered with hearty winter vegetables like kale to provide a warm and comforting entrée, highlighted with Tuscan-style herbs. 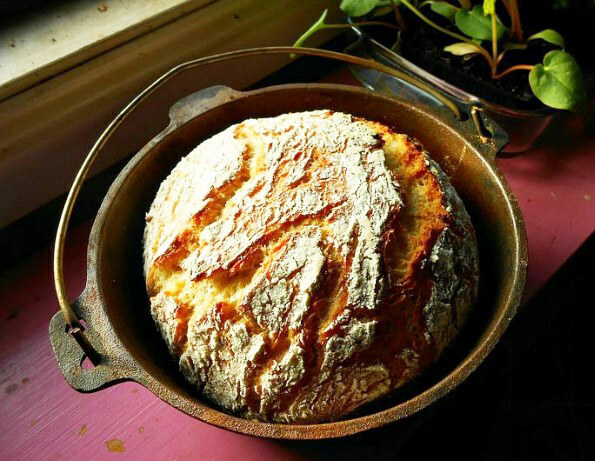 An ideal partner for a bowl of Tuscan soup is a loaf of fresh, homemade Olive Rosemary Bread, hot out of the oven. This easy recipe requires no kneading; simply mix together the ingredients in a bowl, then cover and let rest for eight hours or overnight. 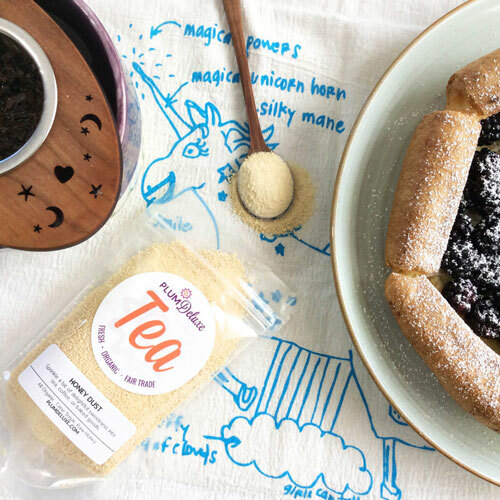 Top off your rustic meal with this deliciously sweet and spicy Rainy Day Puerh tea blend. Sweet cinnamon oil and brown sugar and perfectly balanced with ginger and other spices, making this a perfect rainy day (or any day!) brew. 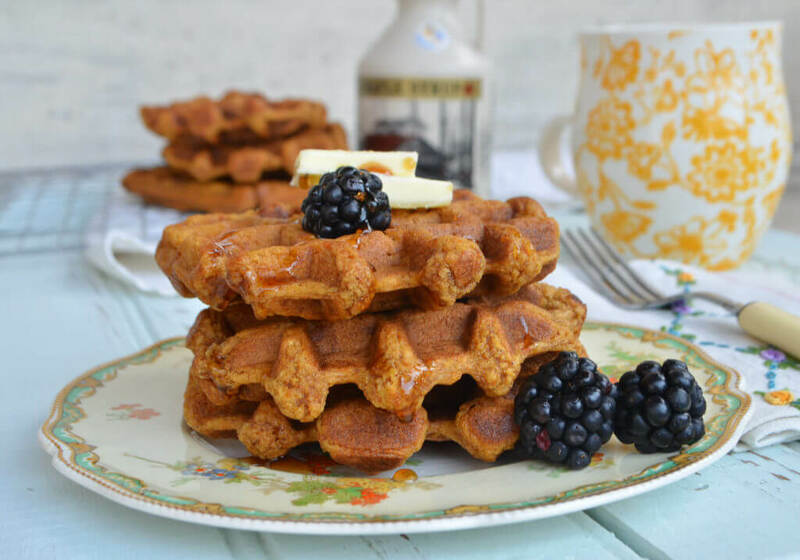 If you’re getting together for brunch, you and your guests may enjoy some tea and Sweet Potato Spiced Rum Waffles. Waffles are versatile and can be served sweet or savory; use toppings, fillings, or simply serve them buttered. These beauties are flavored with cinnamon, ginger, cloves, and nutmeg and spiked with rum (optional). For your brunch menu duo, serve these Honey Butter Cinnamon Rolls. There’s something so delightful about pulling apart the doughy layers of a cinnamon roll and discovering all of the ooey-gooey, buttery, sweet goodness. These rolls are loosely based on a recipe by Bobs Red Mill and are gluten free. Treat your guests to a pot of Pick Me Up tea, an earthy Formosa Oolong from Taiwan. With orange peel, almond extract, and real Vermont maple syrup, this smooth and balanced tea is wonderful any time of the day. Hosting an afternoon dessert get-together? Your guests will go ga-ga for this incredible duo. For the chocolate lover, this decadent Minty Chocolate Cheesecake is rich, creamy, and sweet. The smooth sour cream and cream cheese filling is flavored with peppermint extract, and fills a chocolate cookie crumb crust. 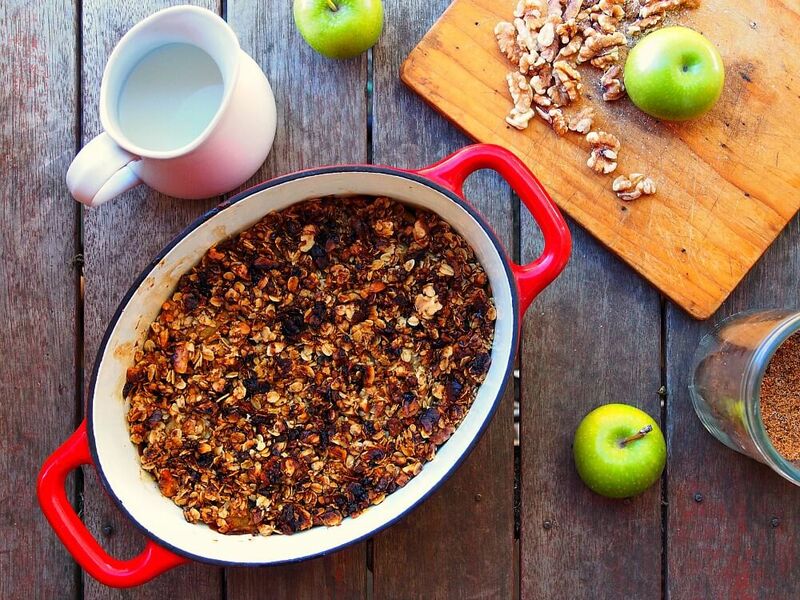 For a fruit-filled complementary dish, try the Best Apple Crisp Recipe in the World. The secret to this amazing dessert is using fresh apples and frying the cored, peeled slices in a generous amount of salted butter with dark brown sugar or honey. This apple crisp is perfect served warm with a scoop of vanilla bean ice cream. With your desserts, consider offering a black tea such as the delightful Cardamom Vanilla Crème Latte Tea. The base is a fresh black Ceylon tea paired with nutty honeybush tea, topped with the lightest touch of creamy, dreamy vanilla extract. If you like to get creative and use tea in your recipes, then you’ll adore this gorgeous Chamomile Corn Chowder. The thick, creamy body of the chowder is created by being half pureed. The honeyed tones of chamomile beautifully complement the corn. Use fresh, organic corn if available, but canned or frozen corn will do just fine. Pair this chowder with Almond Crusted Cauliflower Bites, a gourmet veggie recipe that makes a super side for soup, but could also stand alone as an appetizer. 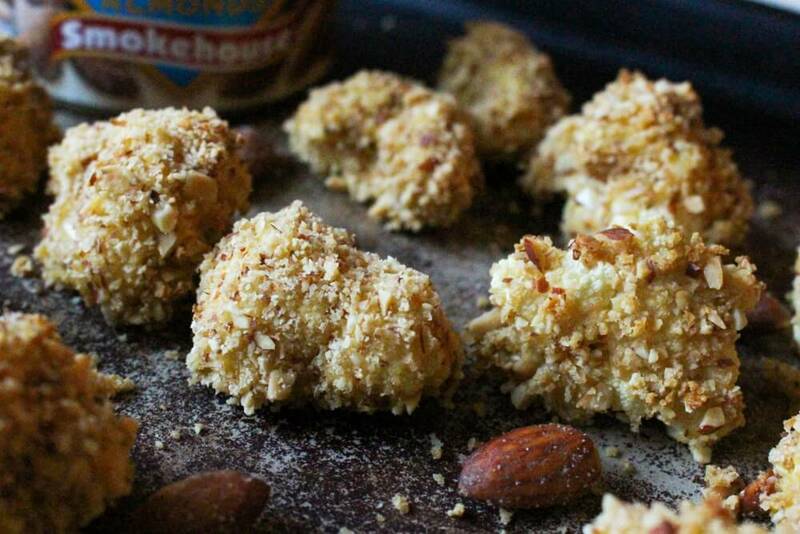 Almonds pack some protein and provide a nutty, smoky crunch to crisp cauliflower florets. 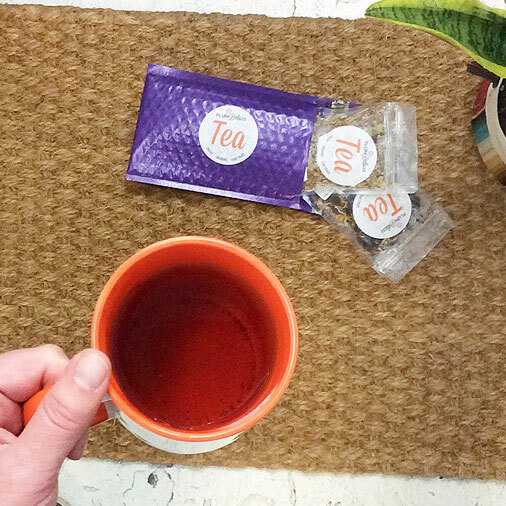 And for your cuppa, try the Calm Chamomile Bloom Herbal Tea, a gentle, delicate, and caffeine-free cup of goodness. 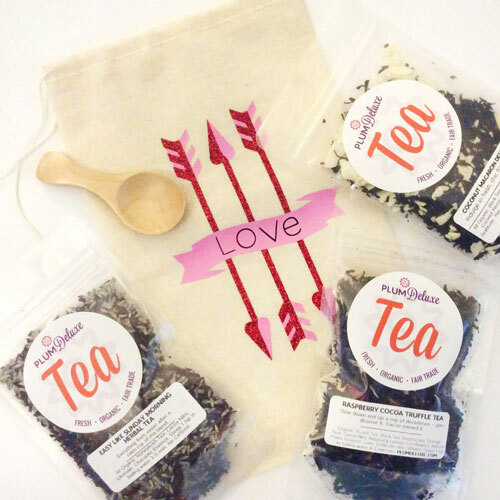 A fresh take on a traditional chamomile tea, this blend is made up of rose, lavender, and chamomile, balanced by crisp lemongrass and fresh lemon balm. There are few dishes more hearty and comforting than lasagna. This recipe for Pesto Chicken Lasagna uses five cheeses: asiago, mozzarella, sharp cheddar, parmesan, and ricotta. The ground chicken is browned with garlic, sage, and thyme. 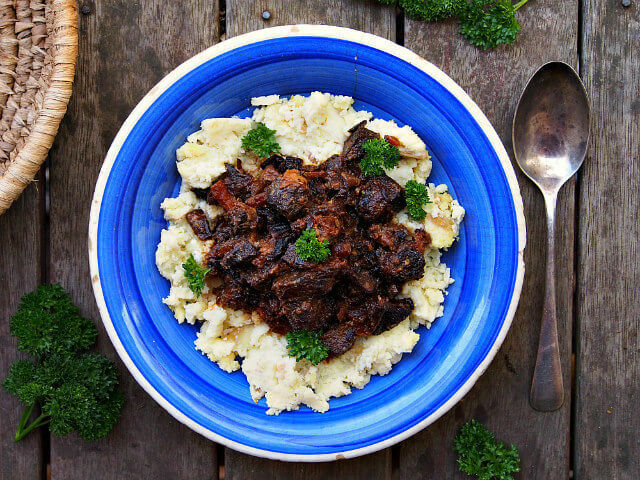 Put your slow cooker to work for you with this recipe for Boeuf Bourgignon. It comes with a fancy name, but this dish is essentially just beef cooked in red wine; it’s the rest of the ingredients that raise its flavor factor. Slow-cooking this dish allows time for the onions, mushrooms, bacon, and thyme to meld together and deepen into a rich, fragrant stew. Pair this meal with one of the Plum Deluxe originals, Full Moon Chai. This classic, signature masala chai has a splash of vanilla butternut extract that adds depth, warmth, and vibrancy and gives a hint of sweetness and creaminess. After a holiday season filled with rich and varied offerings of food and drink, your guests will appreciate these thoughtfully curated small menus. Mix and match recipes you like from this winter foods list, and check out even more tummy-tempting dishes on the Plum Deluxe Recipe Index.